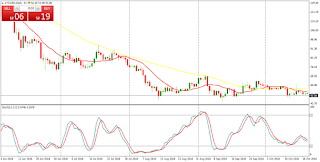 The LTC/USD pair had been bearish in the month of October 2018. On October 1, the LTC price has an opening balance of $60.40. The crypto's price faces resistance at the $60 price level. On October 9, the price of Litecoin was resisted at the price of $59.99 and it fell to a low of $52.65. 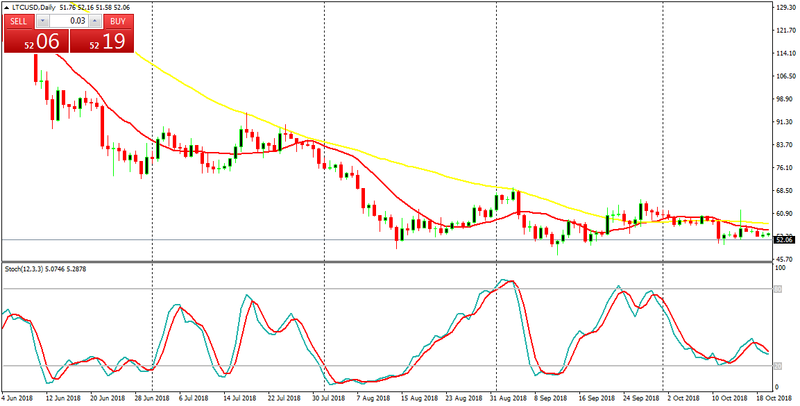 On October 15, the price of Litecoin reached the high of $62.06 but pulled back to the low of $55.87. The price continued its fall to the low of $53.26 and commenced a range bound movement up till date. On the upside, the $60 price level has to be broken for Litecoin to resume its uptrend. 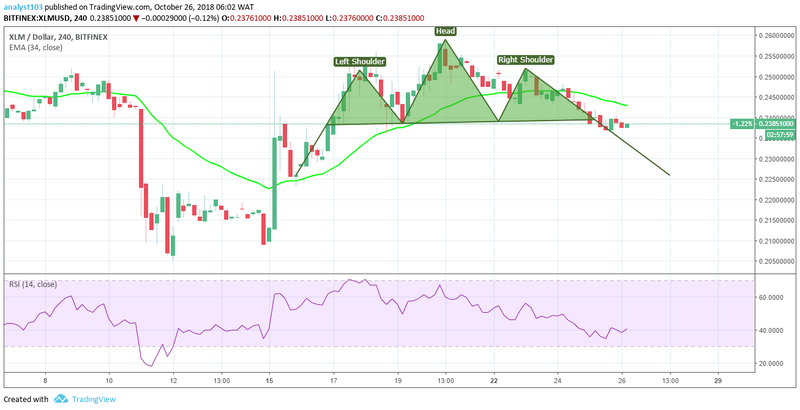 Meanwhile, the price of Litecoin is below the 12-day EMA and the 26-day EMA which indicates that a bearish trend is ongoing. The MACD line and the signal line are below the zero line which indicates a sell signal. 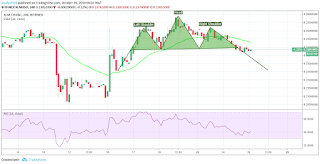 Yesterday, October 24, the ETH/USD pair was in a sideways trend. Yesterday, the crypto’s price reached a high of $208. The digital currency was resisted at a price of $207 and price fell to the low of $203.58. The crypto now fluctuates above the $200 price level between the levels of $203 and $207. Meanwhile, the MACD line and the signal line are below the zero line which indicates a sell signal. In addition, the price of Ethereum is below the 12-day EMA and the 26-day EMA which indicates that price is in the bearish trend zone. As price is in the bearish trend zone, the bears may have upper hand above the bulls. On the 1-hour chart, the price of Ethereum is in a bearish trend. The digital currency fell to the low of $203 and it commenced a bullish movement. The bulls resisted the bears from breaking the major support level.The crypto’s price is below the 12-day EMA and the 26-day EMA which indicates that price is falling. 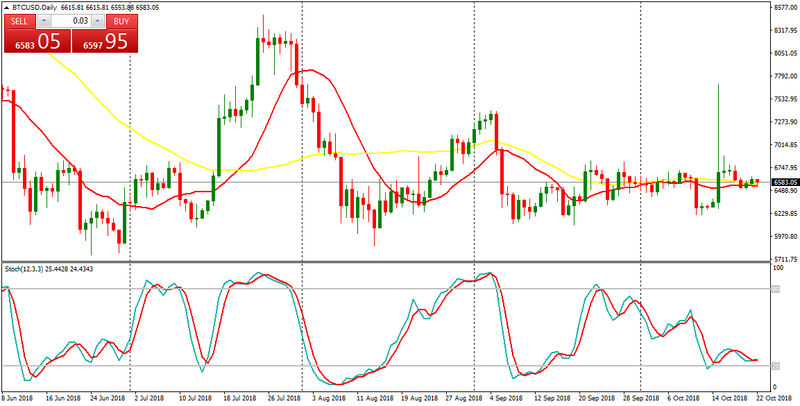 The MACD line and the signal line are below the zero line which indicates a sell signal. Nu-Oil and Gas shares (LSE:NUOG) are supposed to resume its downwards journey, following the current consolidation. This is another classical example of calm before storm. Price has consolidated so far this year, except in June, when a bearish movement was briefly witnessed. Since September 2018, a form of consolidation to the downside has also been witnessed, and that means bears are still powerful. The ADX period 14 is slightly below the level 20, which means the momentum in the market is not great. However, the -DI is above the +DI, which shows the power of bears. The MACD default parameters, have its histogram and signals line below the zero line. There is a sell signal in place. Hundreds of points will be shed. Debenhams stock (LSE:DEB) is a bear market. The stock has been trending southwards since May 2018, and that is a propensity that is supposed to continue. There is a kind of ranging activity in the market right now, but that is supposed to end soon as the southwards movement resumes. Price is essentially below the EMA 21, and the Williams’ % Range period 20 is below the level 20. 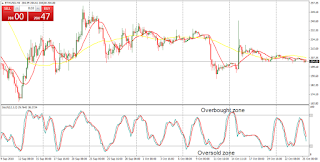 While the Williams’ % Range period 20 shows an overbought zone, the bearishness in the market would continue irrespective of occasional rallies which are expected to be temporary. Hundreds of points will be shed. The BTC/USD pair had been range bound since the beginning of the month. The digital currency commences a range bound movement each time price test the $6,800 price level. On September 21, the crypto's price reached the high of $6,782, and the price fell to a range bound movement. Also, on September 27 and October 15, the bulls tested the $6,800 resistance level and were repelled. Price was ranging above the $6,600 before the BTC price had a downward fall. The crypto's price is ranging at a price of $6,301.66. Meanwhile, the price of Bitcoin is below the 12-day EMA and the 26-day EMA which indicates that the bearish trend is ongoing. 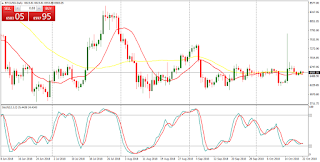 The MACD line and the signal line are below the zero line which indicates a sell signal. Meanwhile, the Relative Strength Index period 14 is level 46 which indicates that price is in the range bound zone. Gold is bearish in the long-term, but bullish in the short-term. Price skyrocket on October 11, thus bringing about a bullish signal in the short-term. In the long-term, Gold would need to continue making its bullish effort before the long-term bias can become bullish as well (provided the market continues going upwards). A movement to the south, would invalidate the short-term bullish signal and strengthen the bears’ position and enable a bearish trend continuation. However, a move to the upside is the most likely. Silver is neutral in the short-term, and bearish in the long-term. Should the market continue its current consolidating movement, the long-term bias also may become neutral. It is more likely that the current market condition will continue, until the situation changes around the end of November 2018. That means a breakout is more likely to occur, and when it does occur, it would most probably favor bulls. Either there would be a bullish breakout by the end of November, or there would be a continuation of the current short-term consolidation. Yesterday, October 17, the price of Litecoin was in a sideways trend. On October 15, the digital currency had a price rally which made the price to reach the high of $62 but pulled back to the low of $56. Litecoin had been fluctuating below and above the $56 price level. As the crypto's price is consolidating, the key levels of the market are not evenly apart. Therefore trading is not recommended until when price is out of the range-bound zone. Meanwhile, the MACD line and the signal line are above the zero line which indicates a buy signal. In addition, the price of Litecoin is neither above nor below the 12-day EMA and the 26-day EMA which indicates that price is in the sideways trend zone. On the 1-hour chart, LTC price is in a sideways trend. However, the price of Litecoin is above the 12-day EMA and the 26-day EMA which indicates that price is in the bullish trend zone. In addition, the MACD line and the signal line are above the zero line which indicates a buy signal. SELL Perfect Money and get paid immediately. When it comes to sales of PM, we’re not better than other exchangers. It’s a lie when an exchanger tells you they’re the best. No-one is the best. We pay faster than all exchangers. Our rate may not be the best and our services may not be the most sophisticated, but we pay customers very fast. If you want to experience the thrill of Instant Payment, sell Perfect Money to us today. Because of increasing popularity of Telegram and the perceived decreasing popularity of Imo, we stopped using Imo as one of our means of customers support contacts and we added Telegram to enhance our customers’ experience. Last month of September, the price of Ethereum had been on a range bound movement. In September, Ethereum had an opening balance of $282.80 but fell to the low of $196.60. Later it commenced a range bound movement all through the month to close at a price of $228.62. In the month of October, Ethereum was in a range bound movement for ten days before the bearish trend. Ethereum is currently trading at $199.78 as at the time of writing. Price is expected to rise as the digital currency has reached the oversold region. Meanwhile, the price of Ethereum is below the 12-day EMA and the 26-day EMA which indicates that a bearish trend is ongoing. The Relative Strength Index period 14 is level 34 which indicates that the market is oversold signaling bears’ exhaustion and suggesting bulls to take control of the market. Yesterday, October 10, the BTC price was in a Bearish trend. The bulls had been holding the price above $6,500 in the last ten days. This cause Bitcoin to be stagnant and range bound above the $6,500 price level. Today, the bulls have succumbed to the bearish pressure. The bears have broken the $6,500 price level and price is approaching the $6,200 price level. The next move is likely to be the $5900- $6,000 price levels. 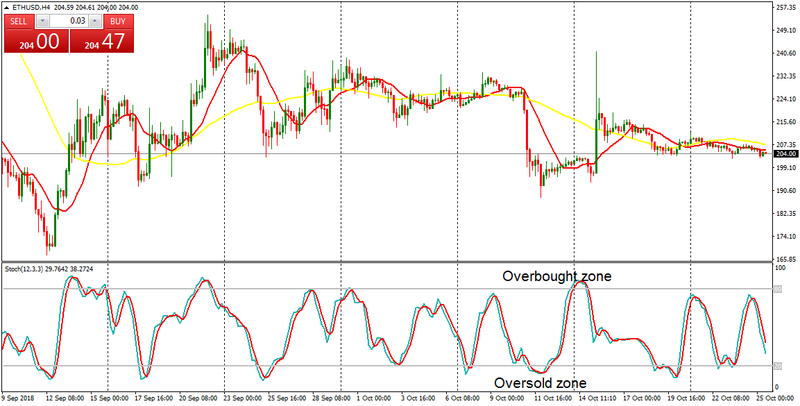 Traders are to look out for buy setups at the end of the bearish trend. Nevertheless, the MACD line and the signal line are above the zero line which indicates a buy signal. The price of Bitcoin is below the 12-day EMA and the 26-day EMA which indicates that price is falling. On the 1-hour chart, the BTC price is in a bearish trend. The price of Bitcoin is below the 12-day EMA and the 26-day EMA which indicates that price is falling. The Relative Strength Index period 14 is level 18 which indicates that the market is oversold signaling bear’s exhaustion and suggesting bulls to take control of the market. Formerly you can only upload your documents on www,instantforex.com.ng in PDF and/or Jpeg formats only. However, we discovered that this limits the visibility of documents uploaded by our customers, especially those who’re interested in registering for Neteller funding and withdrawals with us. Therefore, we decided to add PNG formats feature on our website. This means as from now on, you can upload your documents in PNG, PDF or Jpeg formats, and you documents will be visible on our end. You can give it a trial today. 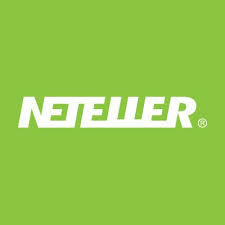 NETELLER: How to Benefit from Our Services! Please upload your passport photo. Then upload your international passport OR driver’s license OR national ID card OR voter’s card. The documents could be in Jpeg or PNG or PDF formats – standard and with good resolution. Alternatively, you can come to our office for physical verification, where you will bring any federal government-issued ID card and you will be required to login into the email address you use for your Neteller account to prove its ownership.